The potted mini monstera is placed in the bright scattering light of the indoors during the growing season, and placed near the south window sill in the winter, so that it can see more sunshine, and the growth is more strong. The growth temperature is 20~30Â°C, and the air temperature is maintained at 60%~80%. The room temperature should be kept above 12 Â°C during the winter, otherwise it is vulnerable to cold damage. 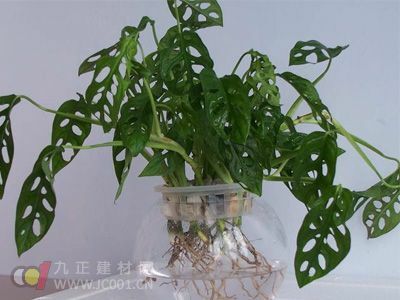 During the growth period, it is necessary to keep the soil moist and spray water on the leaf surface, and apply the compound fertilizer 1~2 times a month. If you can use the top dressing in the growing season, about once every half month, the growth will be stronger. The potting soil and breeding methods are the same as those of the monstera.